Laptops are generally easy to perform minor upgrades on, but major hardware changes such as CPU and mainboard replacements are generally infeasible – such parts are prohibitively expensive and hard to find, and installation is a complicated and tedious process. You can upgrade the RAM and hard drive on most laptops without voiding the warranty, but watch for stickers that say, “Tearing this sticker will void the warranty.” They’ll usually cover panels that aren’t meant to be user-accessible. 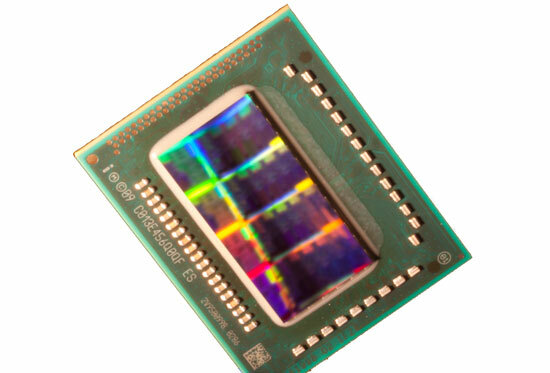 A Core i-series mobile processor (Sandy Bridge). Upgrading your processor is occasionally possible, but almost never recommended. Such upgrades are almost always very expensive, and require a lot of careful work. You’re almost always better off buying a new machine entirely or getting other upgrades for your existing notebook. RAM is probably the easiest component to upgrade. It’s cheap, easy to install, and an effective way to boost performance. In most laptops, you simply remove a couple screws to release a panel on the bottom, then slide the RAM into an empty slot and replace the panel. These days a 4GB stick can be had for around $20, and should be plenty for most users. Most modern laptops can handle a pair of 4GB sticks, which is enough for anything even a power user is likely to do on a laptop. For truly insane workloads, 8GB SO-DIMMs are getting cheaper by the day and can still be installed in pairs. 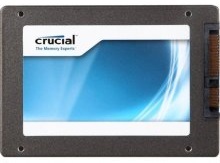 If you need more than 16GB, chances are you should be looking for a workstation rather than a laptop. Hard drives are almost as easy to install as RAM. A hard drive upgrade won’t increase performance much (unless you’re moving to an SSD, which can improve performance by an order of magnitude or more) but it can increase the amount of storage space you have available. The most important part of a hard drive upgrade is making sure your files are either backed up or that you’ll be able to access them after the replacement. A common method of accomplishing this is to copy files to an external hard drive, or to put your old hard drive in an external enclosure. Most laptops from the last several years use mini PCI Express (mini-PCIe) WLAN cards, which are easy to access and replace. Unfortunately, a few machines (often thin and light models like the Asus Timeline series) do use non-standard configurations which can be difficult or impossible to work with. Replacing an optical drive is somewhat more difficult than replacing RAM. The drive is generally secured via a screw under the keyboard, and laptops generally (and budget/thin and light machines especially) can make it a bit of a hassle to get under the keyboard. Generally, you’ll have to remove the panel above the keyboard, lift the keyboard (possibly removing a couple mounting screws), and find the optical drive retention screw. The easiest way to figure out which is the proper screw is to remember that it’ll be 5.5” back from the optical drive's faceplate, slightly right of center if you’re facing the faceplate. After removing the screw, slide the drive out, remove the faceplate (it’s only held in by a couple clips) and attach it to the new drive. Note that optical drives are getting steadily less useful as more and more types of content are distributed online. You may have better luck installing a second hard drive in that optical drive bay, especially if you're looking to add an SSD boot drive to your system. This is made easy with optical drive caddies, available with mounting instructions here. Upgrading laptop video cards is not usually an option. Some high-end machines like the Alienware M15x can accept MXM (Mobile PCI Express Module) video card upgrades, but even then MXM cards are expensive, hard to find, and hard to install. Sites like www.mxm-upgrade.com can do MXM upgrades for you, but it is expensive (currently 250 euros for an outdated midrange GTS250M), there are few options to choose from, and compatibility is tricky at best. It is possible on machines like the M15x to upgrade the MXM card yourself, but this is generally not a good idea. You’ll void your warranty, risk damaging internal components (laptop disassembly is tricky even for experienced techies), and probably see a marginal performance upgrade for your money. We recommend that you only consider upgrading your MXM card if you’re very experienced with notebook disassembly and reassembly, have researched your specific machine and found other people who’ve successfully upgraded to the MXM card you’d like, and can find the MXM card at a reasonable price from a reliable vendor. Side note: ATI (now part of AMD) released the XGP (eXternal Graphics Platform) specification in 2008, but machines that use it are all but nonexistent and there are no modern cards that support it. For all intents and purposes, XGP is dead. It is possible to replace your LCD screen, but usually only with an identical model. However, certain higher-end notebooks like the HP Envy and Dell XPS do offer upgraded screens as an option, and it may be possible to find those screens from eBay, Amazon, and the like. Such upgrades are pricey, but may be worth the money considering the scarcity of quality screens in the notebook market. As always, be sure to research your specific model and upgrade compatibility before buying, and do not attempt such upgrades unless you’re experienced with notebook hardware. Also be aware that upgrading your screen will usually void the warranty.